Fashion Anna: VIP Box # 6! Actually the plan was to continue my Japan series, but today I received my next VIP box and I just couldn't wait to show you what's inside! A MUA lipstick, bombshell stick, mascara from jelly pong pong, makeup wipes from L'Oreal Paris and a duo eyebrow powder from So Susan. 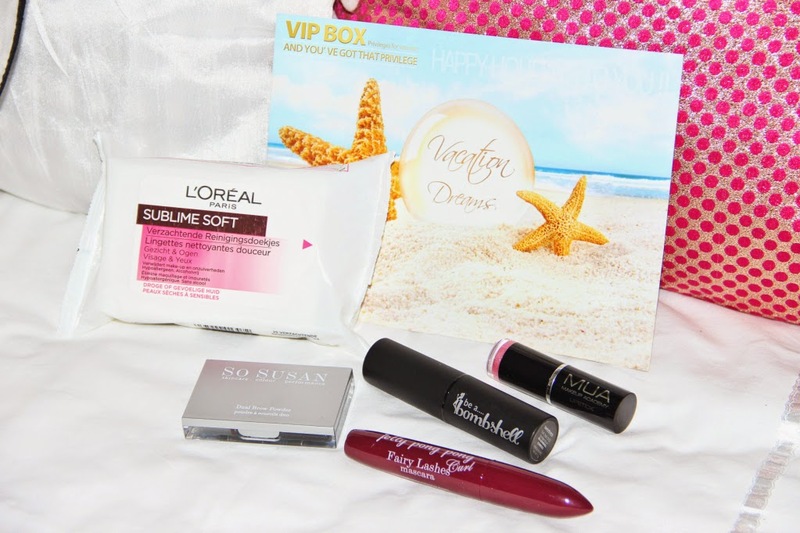 The brands weren't familiar to me half a year ago, but VIP box gave me some insights in these amazing brands. 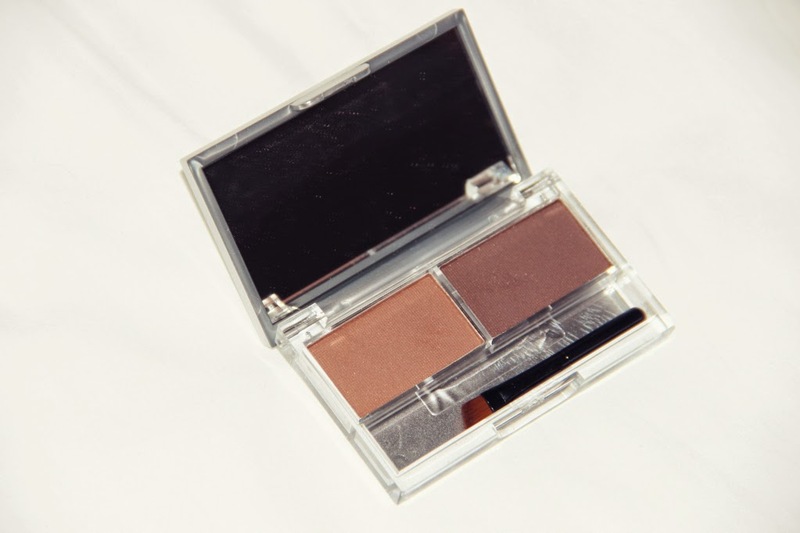 This is the duo eyebrow powder. It looks so good on my eyebrows! I only miss a brush which helps to divide the powder more evenly over your brows, but the product is amazing. If I mix the two colors it's perfect for my brows! 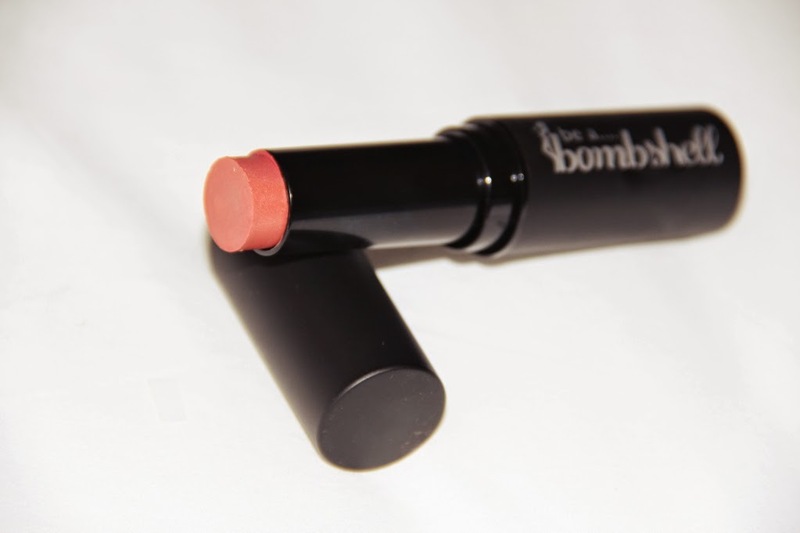 I'm really excited about this luxurious looking product from be a bombshell. 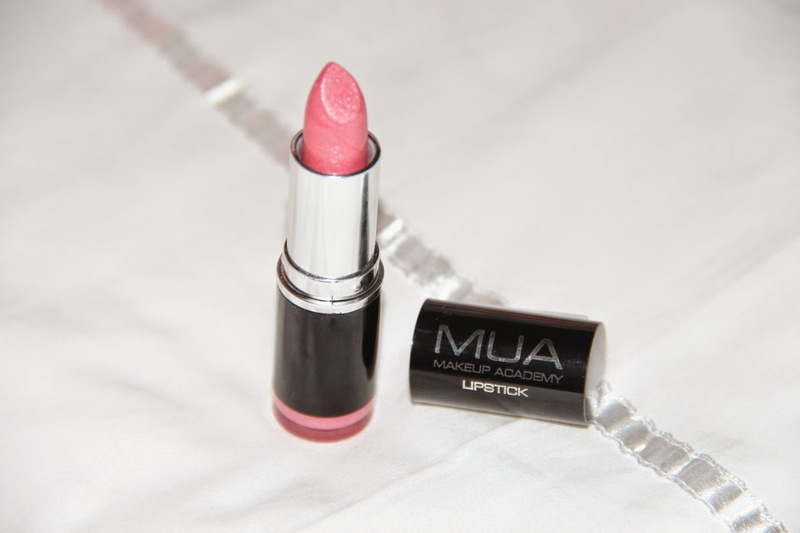 The color is really pretty for my cheeks and lips as well! Another lipstick! I can never have enough lipsticks and I'm always interested in trying out new colors. I did not have such a color until now and I actually really like it! 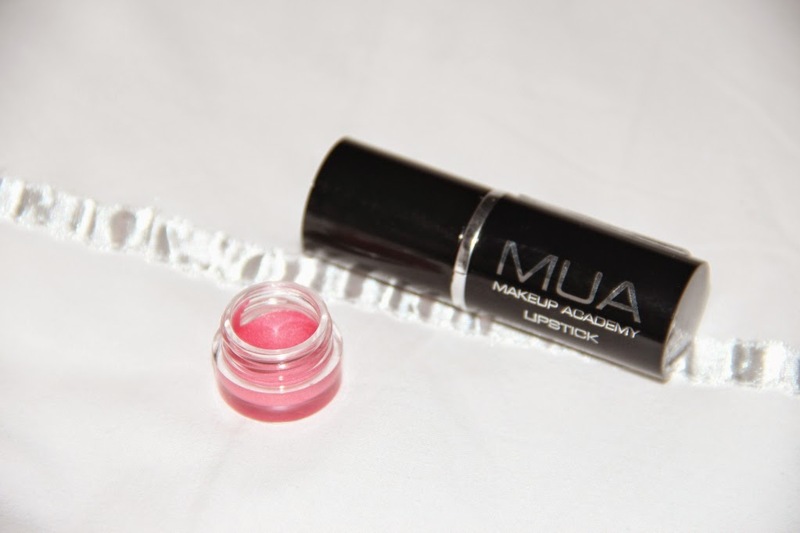 It has some shimmer and on the bottom is the product as well. For the Dutch people I thought it would be nice to include this photo as well. For the English people: the prices are on the right hand side and on the left side you can see the product. The first price should be €5, 00. What a great assortment of products! That brow duo looks fantastic! 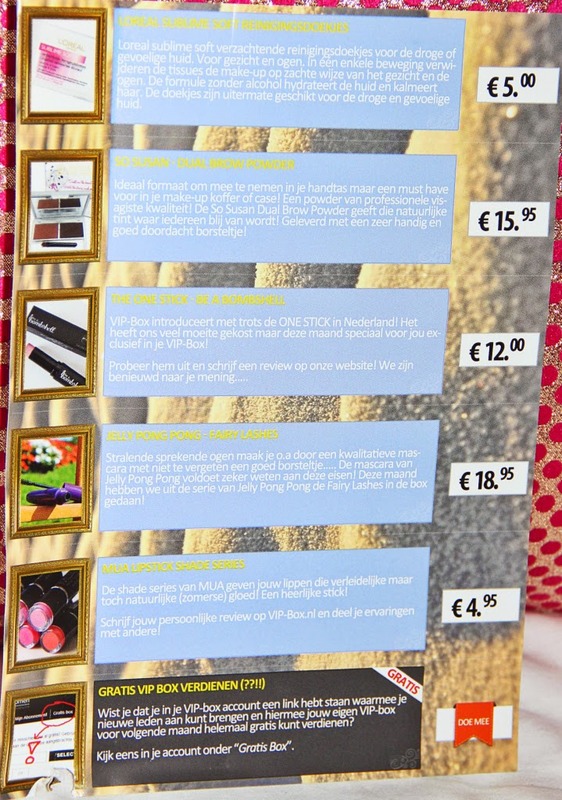 Oeh, wat een leuke producten. Ik heb al weleens vaker gehoord van de V.I.P.-box, maar heb mezelf er tot nu toe nog nooit aan gewaagd. Twijfel nog steeds!